Commercial Combi Ovens also known as Combination Ovens or Combi Steamers, suitable for professional use in Commercial Kitchens & Catering Use. 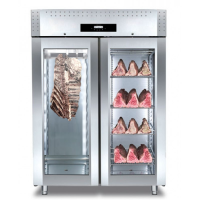 Our Commercial Ovens, also known as Combination or Convection Ovens are the perfect Catering Equipment choice due to their steam and heavy duty durability. Our Tecnoinox Ovens are Made in Italy while the Rational in Germany. All of our Combi Ovens are Delivered for Free with Warranty & 10 Years After Care!